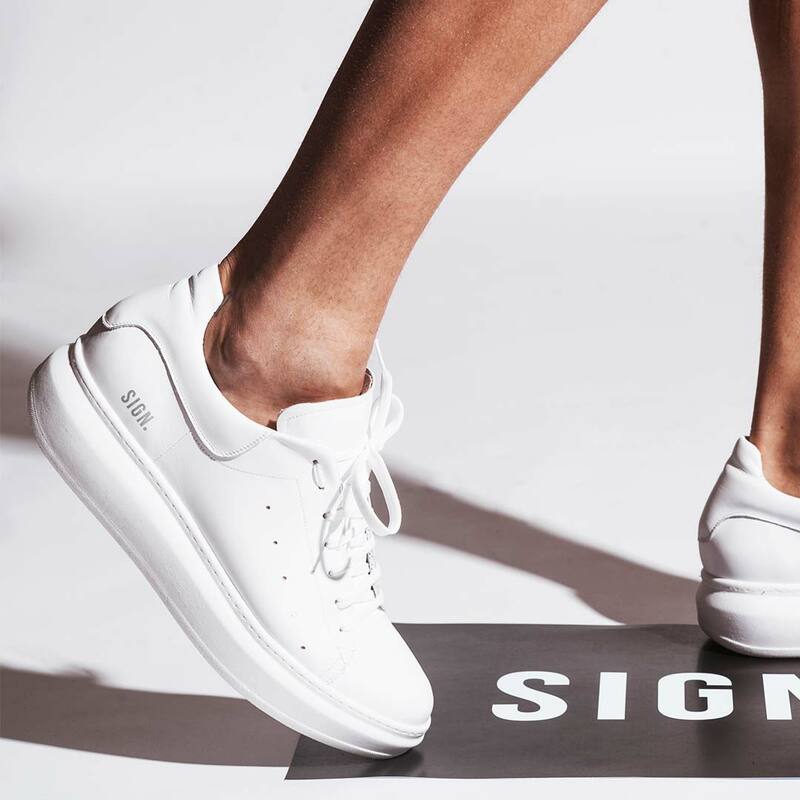 Brand Sneakers WHITE (WH) - SIGN. This Brand Sneakers with signature look is a perfect choice for men genes, they will love it. It was developed with you in mind. Carefully picked materials and designed details makes it fresh and unique like yourself is. SIGN. is in your genes that’s why these sneakers fits your style and offer unlimited ways to upgrade your look. They also offer maximum comfort while wearing it. Heel Notch in white color.